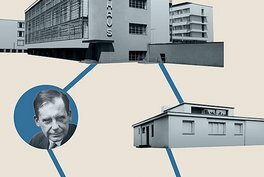 The Bauhaus buildings in Dessau and Simultaneity of Modernism / Lecture and reading from the new Bauhaus pocket books. Discover the open spaces of the Bauhaus city with guided tours. Meeting point: Market square, Dessau (I-Point). Collective intervention in public space. The PARKCYCLE SWARMs are mobile spatial structures, ideal for micro galleries, temporary guestrooms, readings, mobile music stages, happenings, etc. Adopting the tradition of physical education as an important part of the Bauhaus’s endeavours to reform the way of living, visitors are invited to join a Yoga class on the Bauhaus lawn. Football on the Bauhaus lawn/ For Bauhauslers under 10 years of age. The exclusive evening event takes a philosophical look at open spaces, focusing on the Bauhausler Gunta Stölzl and her time at the Bauhaus. In the company of descendants of the Bauhaus master. Temporary shop based on a garden theme and a place to meet and chat in the garden of the Steel House. “360° Bauhaus” / Steadicam journey through the Bauhaus building.